Imagine entering the wilderness alone and attempting to survive only on what you can fit in a small backpack. Sounds challenging, doesn’t it? 10 people will be put to an ultimate test of human endurance, to survive as long as they can in complete isolation and limited resources. 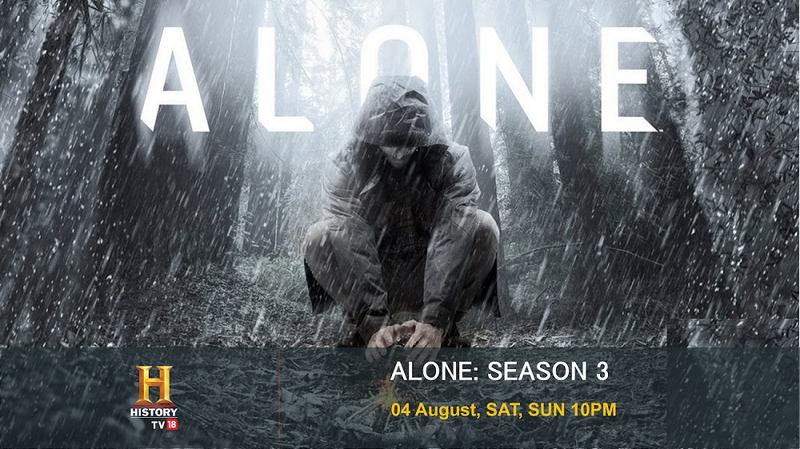 HISTORY TV18 brings to you Alone Season 3 premiering on 4 August 2018, every Saturday-Sunday at 10 PM. The 10 people will be battling it out alone in harsh, unforgiving terrain and mobilizing to survive, just to ‘win the game’. Not only will they need to hunt, build shelters and fight predators on their own, they will also face extreme isolation and psychological distress as they plunge into the unknown and document the experience themselves. No camera crew. No producers. The ten episodic series will determine if these men can work together, or if their strength crumbles beneath the anvil of Mother Nature. At stake is $500,000, awarded to the team that can last the longest.